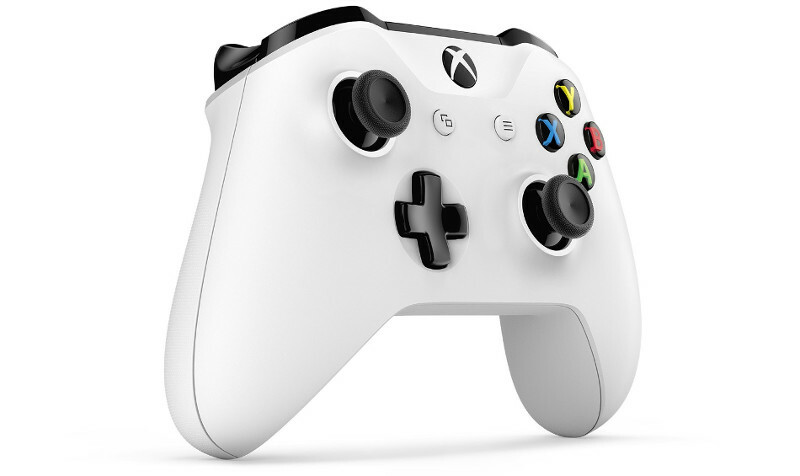 xpadneo [GitHub] seems like an interesting project for those of you who own the Xbox One S wireless gamepad, allowing you to connect it Bluetooth with other fun features. Quite a new project this one, something I hadn't actually heard of before so it's likely new to a fair few of our readers as well. Hopefully some of you might find this interesting or useful. Doesn't seem like there's any packages for it yet, not even in the Arch AUR, so you will need to install it yourself from their instructions. Hat tip to Ale Funguju on Twitter. It's worth noting that there's an install.sh script that installs the driver for you using DKMS, so "compiling it yourself" is a matter of executing it. Does anyone know a simple gui that can reassign/remap buttons on Xbox controller (wired)? Apparently it can't be done with SDL gamepad gui tool. chancho_zombie Does anyone know a simple gui that can reassign buttons on Xbox controller (wired)? Apparently it can't be done with SDL gamepad gui tool. For anyone who does have a bluetooth version and wants to use it without any drivers or troubleshooting, 8bitdo (the SNES controller guys) sell a wireless USB adapter that connects to a whole host of controllers and is just recognized as a xinput device. Been using it with both their SNES controller and my xbox one controller (bluetooth compatable) on my Debian machine without issues! EDIT: I NEGLECTED to say that the 8bitdo REQUIRES a firmware update. I used windows to do this. There is supposed to be a linux tool (https://www.omgubuntu.co.uk/2016/08/update-8bitdo-firmware-linux), but I am unfamiliar with it! I given up mine, with the USB adapter, for a niece to play Cuphead on Windows. The guys working on the driver do not seen much motivated to work on it, after all these years. I Will buy the Bluetooth version for my gamepad collection when I find one at a good price. For now my needs are satisfied with a Steam Controller and a Dual Shock 4. I have a Logitech F710 and, for the point of view of plug and play and game compatibility, is very good. But I hate its analog triggers (small, too far and heavy springs) and it's a noisy gamepad. I didn't like its ergonomics at all, although it has one of the best face buttons out there. But if you like your F310, who knows... Its micro USB receptor is exclusive, do not work with mouse/keyboard ones and vice/versa. Has to be on line of sight or will have problems. Also, no micro-USB connector on the gamepad means you're screwed when batteries die during a game. Nor I nor any of my friends like it. In fact, a friend bought it and gave it to me because he hate it. I have it just for kicks. The Dual Shock 4 will work out of the box on a 2018 distro such as Ubuntu. Game compatibility is also very good. Only a couple games will not recognize it (indie games). Is a very ergonomic controller (way more than a Logitech) and the only real problem with it, is the button layout can make you confused on games that recognize it (such as Shadow of Mordor), when the game tells you to press square or triangle and you have to look down at the gamepad to find it. As a Xbox layout guy, took me a week to memorize. If you go buy a Bluetooth dongle for it, get at last a 4.0 specification. Earlier ones ask you to type PINs while pairing it, do not worth the pennies saved. The Xbox One Controller works out of the box on Linux with a simple micro-USB cable, but is by far the most problematic in the game compatibility arena, especially the "One S" with bluetooth, where several games do not recognize it, mostly indie games. Last time I tried a "One S" unit, there was a problem with button mapping, that this xpadneo driver proposes to resolve. Again, buy a Bluetooth 4 dongle for better results. Test your Xbox One Controller with a micro-USB cable, works fine on Linux. Don't buy the Logitech F710. Dualshock 4 is a nice option. Xbox One S have problems. I don't mind making an AUR apckage for it. Battery level Indication? Sounds like a neat feature. Any other controllers do that, and where can I find it? On the Mate DE btw. TurtleShark mentions an 8bitdo wireless bluetooth adapter, that recognizes the controllers are an xinput device, does this mean it would have the same compatibility as all other xinput controllers, like the xbox 360 controller (and my logitech f310) ?? That is weird!! That Amazon comment is from March 12th, but they released that firmware update March 14th! They really should have updated that on Amazon. If you check their site out firmware v1.16 DOES include support for the XboxOne S (the bluetooth variant). You will have to figure out how to update the firmware...there is supposed to be a way to do it on Linux using fuwp (https://www.omgubuntu.co.uk/2016/08/update-8bitdo-firmware-linux), but I just used my Windows partition to update the firmware (others said they've used a Widnows VM for the controllers).